The tiny island of Philae, a mere 450 meters long & less than 150 metres wide, captured the imagination of countless travellers to Egypt from early times. It was famed for its beauty & was known as the "pearl of Egypt ". Plants and palm trees grew from the fertile deposits that had collected in the crevices of the granite bedrock. Gracious limestone temples & colonnades, kiosks & sanctuaries rose proudly against the skyline. 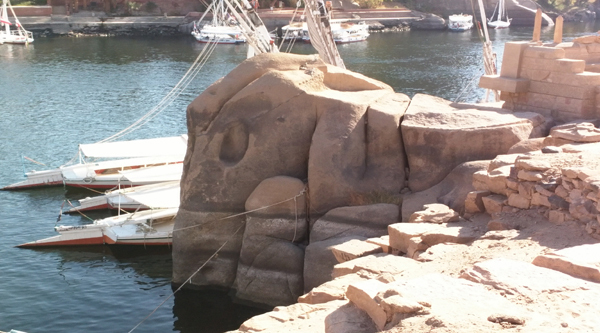 When the 1st Aswan dam was constructed the island was inundated for part of each year, from December to August. Between 1929 -34 the Aswan dam was raised another 10 meters, to a height of 44.5 metres. Philae was now inundated for most of the year. Only the high pylon of the temple of Isis, and the kiosk of Trajan, situated at its highest point, could be seen. 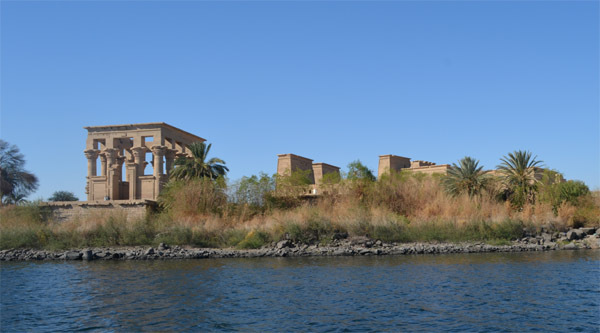 The original site of Philae lies underneath the waters of Lake Nasser; however, with the help of UNESCO, the entire temple was relocated to a new island, Agilkia, just south of Aswan. In March 1980, following an impressive public inauguration, Philae was declared open to public. To reach the island you have to take a small motor boat and sail for 15 minutes along the Nile to see this beautiful place. The monuments of Philae cover four major epochs: the last part of the Pharaonic era, the Ptolemaic period, the Roman epoch and the Christian period. 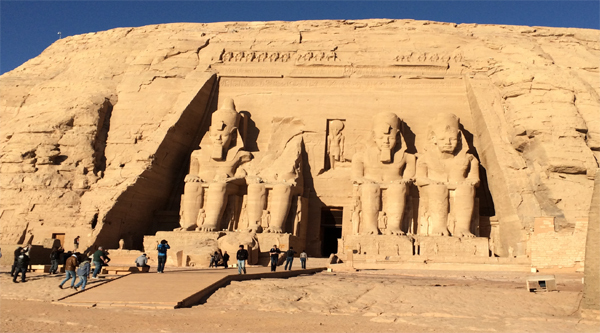 The chief monuments are the Temple of Isis & her son Horus, the beautiful arch of Hadrian, the Temple of Hathor and the Kiosk of Trajan which is also known as Pharaoh's Bed. The kiosk is rectangular in shape & surrounded by 14 columns with floral capitals. This is the most graceful of the many elegant buildings on the island, and the one for which Philae is most remembered. The huge entrance pylon of Isis temple is 18 m high and 45 m wide. Each of the 2 towers is decorated with mighty figures of Neos Dionysos, Ptolemy XII, depicted as pharaoh and wearing the Double crown of Upper and Lower Egypt Two granite lions guard the entrance, they are of late Roman times and reflect Byzantine influence. Passing through the gateway, we come to the Great Court. To the right is a colonnade and priests? quarters. To the left is the Birth House which is an elegant little building. The colonnade surrounding the Birth House is completely decorated. The Second Pylon of the temple is smaller in size than the entrance one and is not aligned with it. The Temple of Isis comprises a tiny open court, hypostyle hall, an ante-chamber and a sanctuary. The walls have fine reliefs of the Ptolemaic kings and Roman emperors repeating traditional ritual scenes relating to offerings to the Egyptian gods, staking out the temple and consecrating the sacred area. The Hypostyle hall is separated from the court by screen walls between the 1st row of columns and adored with coloured relief. In Christian period the hall was converted into a church, the wall reliefs were covered with stucco and painted. Christian crosses were chiseled in the walls and on some of the columns. This is a rectangular shaped kiosk stands to the right side of the main temple and surrounded by 14 columns with floral capitals. These support blocks that carry the architraves and cornice. The blocks were undoubtedly planned to be carved into sistrum capitals, but they were left unfinished, as were other parts of the structure. The emperor Trajan is depicted burning incense in front of Osiris and Isis and offering wine to Isis and Horus. This is the most graceful of the many elegant buildings on the island, and the one for which Philae is most remembered.